Whew, the past week has been crazy busy here at the Dollhouse. Project "house to home" is coming together quite nicely, although not as quickly as I would like, but hey, that's home construction for you. I thought an update post was in order, since lots have been done since leaving you last week with my closet makeover post. Grab a cup of coffee, cause this post is going to be a long one! First of all, I am on an organizational kick! My energy is feeding off of the changes in my home and making me want to do more and more. To be honest, this is the first month I've even been in LA for a month straight without traveling since moving in here, so it really does feel like the perfect time to go all out and get my place perfected. I'm pumped! As far as organization goes, this week I continued working in my closet, making small changes to really perfect it. Two changes really stand out to me; one, that I organized my clothes and shoes by color and two, that I pulled all of my books out of my living room and lined them up on the very top shelf of my closet. I was going to use the top shelf as storage for bins but after finding another spot for my bins I thought it would be the perfect place for my books. Not only did it pull some color into my closet, but it greatly reduced the amount of clutter in my living room. I'm not saying books are clutter, but when you don't have a bookcase and your books are just stacked in piles around your media stand then they definitely look way more cluttery than chic. Overall I'm in love with the way my books look in my closet. It really added some personality and color and I couldn't be happier with the way it turned out. Speaking of organization, after thinking about it long and hard I decided to order an Erin Condren Life Planner. I know I had mentioned in my New Year's Resolutions post that I wanted to start keeping a planner again, and that I had taken one from Glitzy-Glam, but honestly, it wasn't set up the way my dream planner would be, but the Erin Condren one is. The Erin Condren one is set up like my old planner that I LOVED that I would buy through my college, and I haven't seen one set up in the same way since then. That was the deal-maker for me; I knew I had to get one! They are expensive, and trust me, I thought about it for awhile before shelling out the big bucks for a planner, but I think it is going to be so worth it. I absolutely cannot wait to receive it! 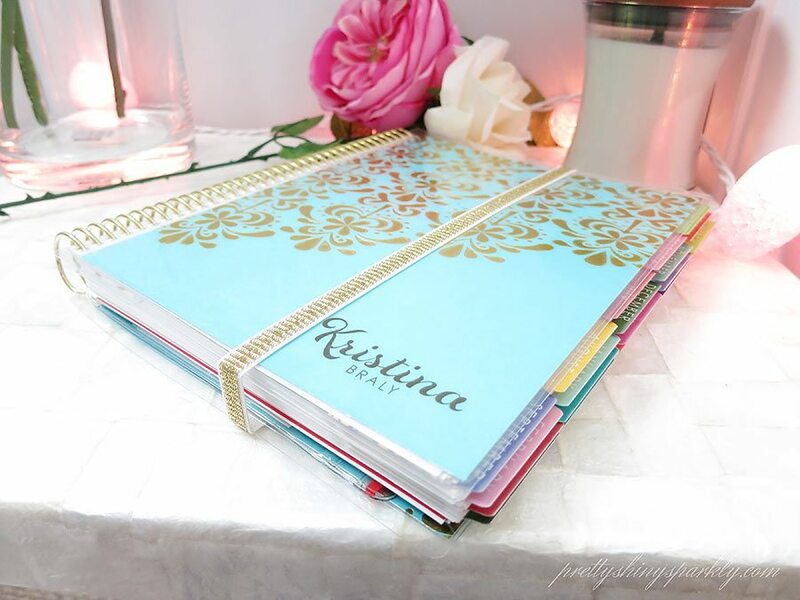 This is the exact one I ordered, the Turquoise "Gold Edition" life planner. Picture credit and shout out to Kristina over at PrettyShinySparkly for talking me into getting one of these; it was her review that really pushed me to order it! Plus, I used her link, and received $10 off. If you would like to receive $10 off, you can order through this link here. This link is one of those referral links where you get $10 and I get $10 in credit, but obviously I don't need another planner, so if people order through this link I will use the credit to order a new planner to giveaway on this blog. That way, iheartyoucoffee readers are helping out other readers! On the "construction" side of things, I had two major projects done this week. The first is that I finally had my kitchen backsplash installed! It took a total of 3 days; one day to install the tile, one day to grout it, and one day to seal it after the grout had dried. I selected my backsplash with the help of my decorator while looking at my condo decor as a whole. We wanted something that would compliment the contemporary black/brown cabinetry and the white countertops but that would also be soft and feminine. We had previously selected two gorgeous mother of pearl hanging lotus chandeliers for above my kitchen island, so working with those and the color palette for my walls, we picked a beautiful backsplash. The backsplash has a bit of mother of pearl in it as well; not enough to be overwhelming but just enough to add a little sparkle. The hanging lotus chandeliers - Gorgeous! I'm sure you recognize the wallpaper as the same paper I had in my old bedroom. I liked it so much I had to use it again - I couldn't even bear the idea of using something else. What can I say, when it's love, it's love! The wallpaper is Margot Amethyst by Designers Guild, if you were wondering. I highly recommend it, if you like the look of it. Like I said, this is the second bedroom in a row that I have had it! Last but not least, on the "decor" side of things, I made some very important home purchases (LOL). As much as I adore real flowers, they don't live for very long and the nice arrangements are expensive. I still like to treat myself to real ones every now and then, but in order to give my home a girly vibe, I like to have some faux arrangements around as well. I have been on the hunt for the perfect coffee table arrangement, and have been checking my favorite flash sale sites every day in the hopes of spotting the perfect one. High quality faux flower arrangements, the kind that look so real you have to touch them to make sure, are expensive, so I knew I wanted to wait to find one on sale. After a few weeks of checking everyday, and passing up several flower sales when there wasn't one that was "the one", I found her. My beautiful little flower arrangement, peach roses and gorgeousness. I found her on Hautelook, marked down from a few hundred dollars. 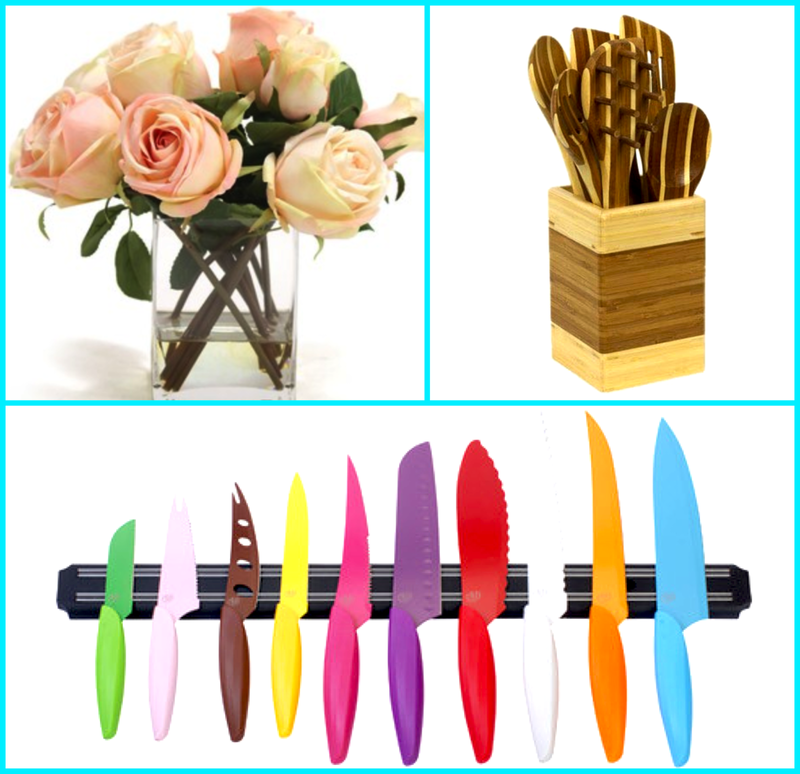 The second home purchase I made were for some colorful rainbow kitchen knives. I needed a set of good-quality knives, as I only have 2 currently, a turquoise and a light pink (not including my everyday flatware eating knives). I have a thing for colored knives, if you can't tell. I found these on Joss and Main whilst searching for faux flowers. Once I spotted them, I knew I couldn't leave them behind... they were calling my name, and at a great price too! Oh, and I also bought a set of striped bamboo utensils, as I have been wanting a striped set for ages and never see them in stores. The last thing I purchased for my home was a pair of Restoration Hardware chandeliers that I have been eyeing for ages! They are currently on sale, and I thought, now is the time! 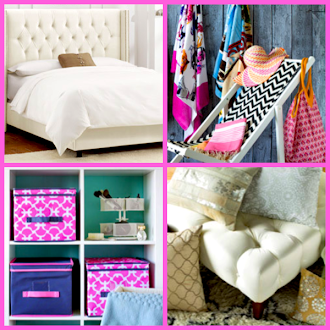 I plan on hanging these on either side of my bed, as shown in the catalog picture. They haven't arrived yet, but this is what they look like! Told you this post would be long! I had a lot to talk about! If you still want more, I put together a video with clips I took as these projects unfolded. I made this video especially for you iheartyoucoffee readers, so make sure to check it out if you are interested! 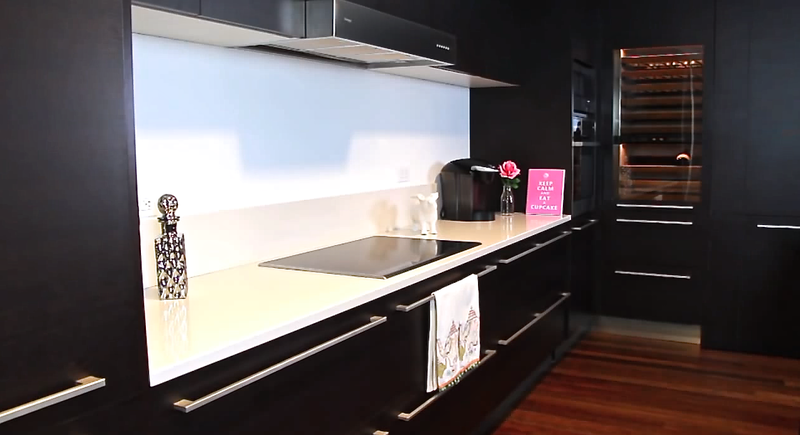 I absolutely love your apartment Elle! You are so motivated. What are your tips for juggling a busy school and work life with staying organized. As of right now, I get 5 hours of sleep, then go to school from 7 am to 8 pm (for theater), and spend till 12 doing homework. I then wake up at 5 to go on my run.... HELP! Great job on the kitchen backsplash. It looks divine. I am so obsessed with your home decor posts! I have finals now and I just feel like I can get away from all the stress when I read your blogs! Love you Elle!! aww, good luck with your finals! 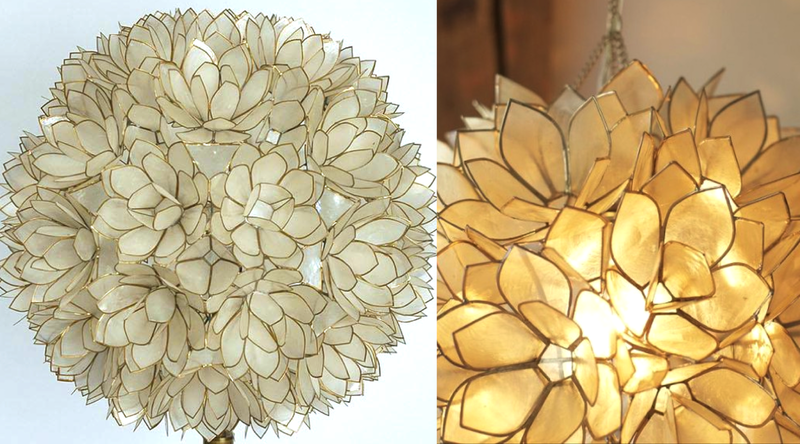 The mother of pearl hanging lotus chandelier is absolutely beautiful! I can't wait to see how the rest of the condo turns out! Where oh where did you get your chandeliers? Loving the progress, it's so nice to get stuff done around your home! I have a flower arrangement almost exactly like the one you bought and I LOVE it!! Looks great and I can't wait to see it completed! Elle, your such an inspiration! I love your style and your posts and videos!! :) I wake up every morning waiting to see what you will post next!!! You are my favorite hands down!!! That tile backsplash is perfect for your kitchen. Have you ever considered getting a king-size bed? You totally have the room for it! Where did you get your comforter?? I love it!! When you get your PLANNER please can you make a VIDEO about how you use them, for NON-school things... like for meetings, errands, GNO's, parties, random, etc? and any organizational TIPS and tips in general for KEEPING up with the planner please??.. Also, your kitchen looks gorgeous! I am so excited that you're blogging again! I love your house and your kitchen backsplash is amazing, but I bet it looks better in person! I love getting inspiration by your home decor posts and videos. I will soon be moving to Zurich, Switzerland (I am German but have been living in Copenhagen, Denmark, for the last four years) and start full time work, after having finished my graduate studies. You are very lucky to have such a beautiful apartement in Zurich!! Plenty students live on couches due to very expensive and no available apartements. How is life in Danemark?! I always wanted to live there.. Thank you :) I am really happy about the apartment indeed (also that we found one so quickly as I know about the housing situation in Zurich). However we are also able to afford much more than the average student as both my fiance and I work full time now and both of us have graduate degrees (and he has been working for almost three years now) - it is still quite expensive though but thankfully my fiance (Danish) has an even more expensive taste than me, hehe. However life in Denmark is also amazing. If it wouldn't be for his job I wouldn't have moved. I just love it here. Everyone speaks English, we have the ocean close by and Copenhagen offers every opportunity a capital does without being too big of a city (you actually meet people when being out shopping in the inner city). Thankfully with the fiance's family living there we will be back on a regular basis. Elle!!! I got my Erin C a couple weeks ago, and it's a life saver. I can definitely see the difference in quality, and just sheer efficient planning I can get done with it. Oh, and all your new purchases are the jam. Especially that back splash! Elle - it's BEAUTIFUL!! I can't wait to see how it all comes together, and I absolutely loved the video! Would love more as the progress continues. So happy for you and your beautiful place! So pretty and chic! Adore the colour coding of your decor, so pretty! The Stella & Dot stylist planner is EXACTLY the same as the Erin Condren ones! Your place is coming along so nicely! I think you're finding the right balance between the modern architecture of your condo and your personal aesthetic. You house is coming along beautifully! You have such a great taste in decor! That planner you have looks amazing! Yay! Glad you love the Erin Condren life planner Elle! I'm so happy to hear you liked my video on it! Your place looks AMAZING. Great job!! I'm wondering where the floral comforter is from, i absolutely love it! That backsplash..is mesmerizing. I imagine schlarping to the kitchen in the morning and seeing all that speckled beauty, my sleepy eyes would go instantly off focus.. I adore wallpaper. I feel it adds warmth and coziness to spaces, and for that reason a wallpapered bedroom is the best!! I absolutely love what you have been doing with your apartment! These videos and this blog are inspiring me for when I move out on my own this summer! The back splash is gorgeous! I was just wondering maybe somewhere down the line you could do a post on tips for decorating a very small room. I'm in college and live with four other girls and I ended up with the smallest room. I just need some inspiration on how to decorate seeing as the two main piece of furniture I could fit in here is a bed and a desk. Thank you! The color coordinated books are a great idea and look really cute :) Thanks for the inspiration, Elle! Your condo is really coming together! It's going to look gorgeous once you are done. Great job on everything you've done! I find it surprising that you would purchase the Erin Condren planner. The Better Business Bureau is after her for releasing private info on customers not to mention one of the poorest rated compaines by BBB. The negative press on the companies facebook page would make me run to another source to purchase a day planner. Not thrilled you would choose to support and put her name out there but to each his own. 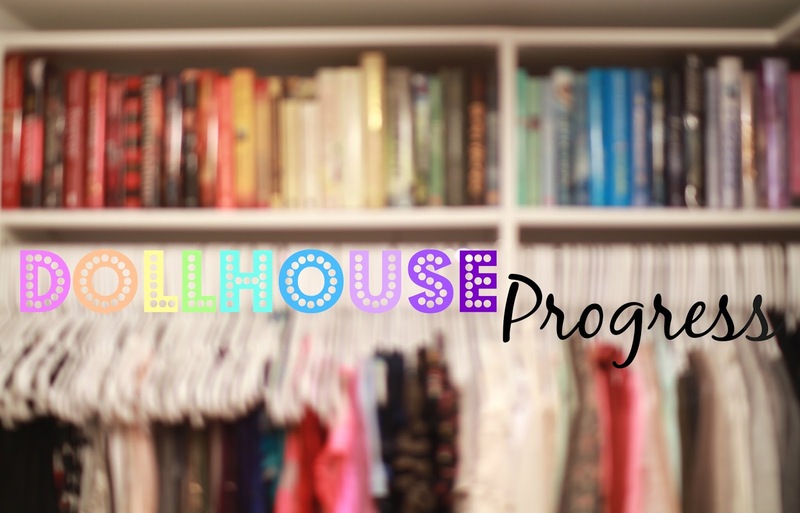 Just wanted to let you know how much I LOVE the rainbow of books in your closet -- it's beautiful, satisfies my desire to see all things organized, and just makes my inner book nerd do a happy dance. I love the lotus chandeliers!!! Where did you get them from? Where did you order your backsplash tiles from? PLEASE do an agenda tour! I love how everything is coming together so nicely in your condo! it looks sooo good i just love you style! and btw, i watch all your videos at least 5 times each i just can't get enough! Can you please share the tile used for your backsplash? Where did you get the beautiful comforter? I would really like to know where you ordered your backsplash tiles from and the style number/color that you have chosen.